You might notice the single serving pasta recipes on this site have a tendency to always be made with elbow macaroni noodles. There is a reason for that: the small noodles are easy to measure for a single serving. About 1/2 cup is one serving, in most cases. Other noodles can be used for most any of the pasta recipes. Wikihow says this about volume-based noodle measurements: "A single serving of pasta is generally regarded as 2 oz. (57 g) of cooked pasta for a first course or side dish. 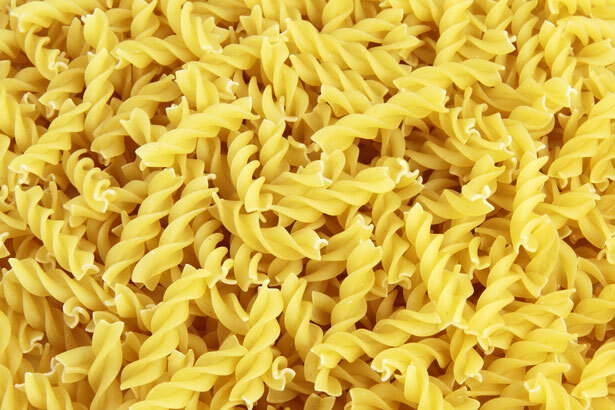 [...] Occasionally a serving is approximated as 1/2 cup of pasta; however, this depends upon the shape of the pasta. [....] 1 serving of [spaghetti or fettucini or vermicelli or angel hair], or 2 oz. 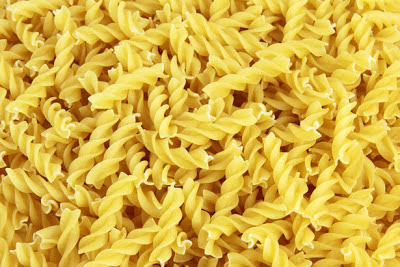 (57 g), will be a bunch of pasta between your fingers with a diameter of 7/8 inch (24.26 mm). This is the diameter of a United States quarter. [...] If you are using measuring cups, a single 2 oz. (57 g) serving [of penne pasta] is 3/4 cup of dried pasta. [...] When measuring egg noodles using measuring cups, 2 oz. (56 g) of egg noodles is approximately 1 1/4 cup of egg noodles and also 1 1/4 cup of cooked noodles."